Comparing the yields on 10-Year Treasuries with 10-Year TIPS can offer a valuable insight into how investors view future inflation. Investors pay close attention to the yield difference – or “spread” – between 10-year U.S. Treasuries and 10-year Treasury Inflation Protected Securities (TIPS) since this number can provide a sense of investors’ expectation for future inflation. Here’s an example: If the 10-year Treasury has a yield to maturity of 3% and the 10-year TIPS has a yield of 1%, then inflation expectations for the next five years are roughly 2% per year. Similarly, using two- or five-year issues would tell us the expectation for those periods. This difference is typically referred to as the “breakeven” inflation rate. If inflation exceeds the breakeven rate, you would be better off owning TIPS than plain vanilla Treasuries. If inflation comes in below the breakeven rate, Treasuries would be preferable to TIPS. By looking at a chart of the spread between U.S. Treasuries and TIPS, we can see how investors’ inflation expectations have changed over time. The accompanying image shows the gap between the 10-year maturity of each bond from the beginning of 2003 through October 31, 2014. Prior to that, TIPS weren’t liquid (easily traded) enough to gain a fully accurate measure of inflation expectations. This chart shows that over time, 10-year inflation expectations have typically landed in the 2-2.5% range, with an average of 2.18% over the full-time period. The most noticeable aspect of the chart is the large dip in the middle years. This reflects the financial crisis period of 2007-2008, along with the subsequent recovery. While inflation expectations don’t necessarily track growth expectations as cleanly as they do in Economics 101 textbooks, periods of crisis and/or sharp economic contraction typically cause investors to become less concerned about inflation. At the same time, the recovery through 2009-2010 in the Treasury/TIPS yield spread corresponds with the rebound in global growth and stock prices during that time. 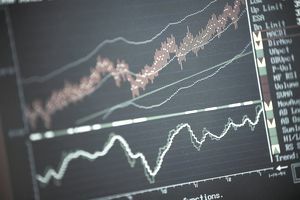 Since then, the volatility in bond markets has largely reflected the shifting expectations regarding the U.S. Federal Reserve’s quantitative easing policy, as well as the various crises that hit the market during this time. For instance, the dip in the line during 2010 reflects concerns about the European debt crisis, while the decline in 2011 was caused by the debt ceiling crisis and concerns that the United States may actually default on its debt due to its political impasse. More recently, the decline in 2013 occurred in tandem with the market’s expectation that the Federal Reserve would taper its quantitative easing policy. At the far right of the chart, the decline in the breakeven rate in late 2014 reflected worries that the rapid downturn in European inflation would eventually feed through to the United States. More than two years later, the quantitative easing policy — and along with it the expectation that it will soon end, persists. As a consequence, bond yields remain generally low but mixed. The Treasury-TIPS spread isn’t a perfect predictor of inflation by any means – after all, both are subject to market forces (and therefore investor emotions). However, this chart does help provide a sense of how investor’s inflation expectations change over time. Does It Ever Make Sense to Invest in a Bond With a Negative Yield? The Bond Market Bubble: Fact or Fiction? What is the Federal Funds Rate, Anyway? Why Have Bond Yields Fallen So Low, and What Can I Do About It? What Is a Fiscal Cliff? What Is the US Federal Reserve Dot Plot, and How Is It Used?